I can’t speak Russian very well. If you are well, it means that you aren’t sick. Caroline won't be at work today because she isn't well. We can use well at the start of a sentence when we want some time to think about what we want to say. We sometimes do this because we’re not sure, or because we don’t agree. I’d like a burger. And can I have fries as well? A well is a hole in the ground with water at the bottom. 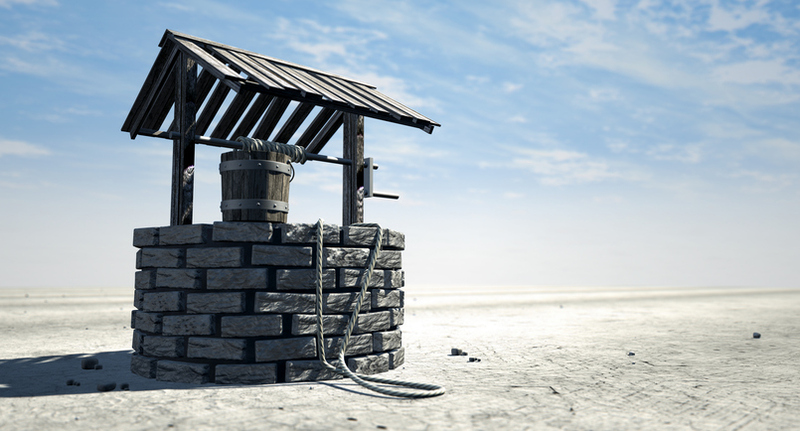 In the past, most people got their water from a well. The movie 300 is about a group of people who lived 2000 years ago. They were called the Spartans. In the movie, a king called Xerxes wants Sparta (the place where the Spartans live) to become part of his kingdom. In this video from the movie, a man brings a message to the Spartans from Xerxes. Xerxes wants the Spartans to give him “earth and water.” Leonidas, the king of Sparta, is angry about this, and he pushes the man into a well. Before the man falls, he says, “This is madness!” What does Leonidas say to him? There are other meanings of well.